His plan succeeded beyond even his fondest dreams. Ray Kroc’s achievement was to apply these guidelines to the operation of all the restaurants in his chain of franchises. The way he did that was to establish the aforementioned Hamburger University, a place where his vision of a chain of hamburger restaurants spread across America all serving identical menus prepared in identical ways by identically dressed employees following identical directions from managers trained in how to run each restaurant identically was taught in an atmosphere more akin to military boot camp than college campus. Predictability, calculability, efficiency – and control. Each of those terms has a special place in the McDonald’s mythology. Efficiency – by limiting its menu (in its early years) to hamburgers, cheeseburgers, and fries, Kroc was able to develop the most efficient methods of preparing basic fare. As the market for fast food expanded and evolved, McDonald’s added items as his system determined the most efficient way to prepare and present them. Ever use the empty side of your Big Mac box as a tray for your fries? Efficiency…. Calculability – Kroc discovered it was easier to inventory burger wrappers and french fry bags than to account for burgers and fries themselves. McDonald’s, and eventually all the chains – once allowed employees free soda – but the employee had to provide the cup or be charged for the item. 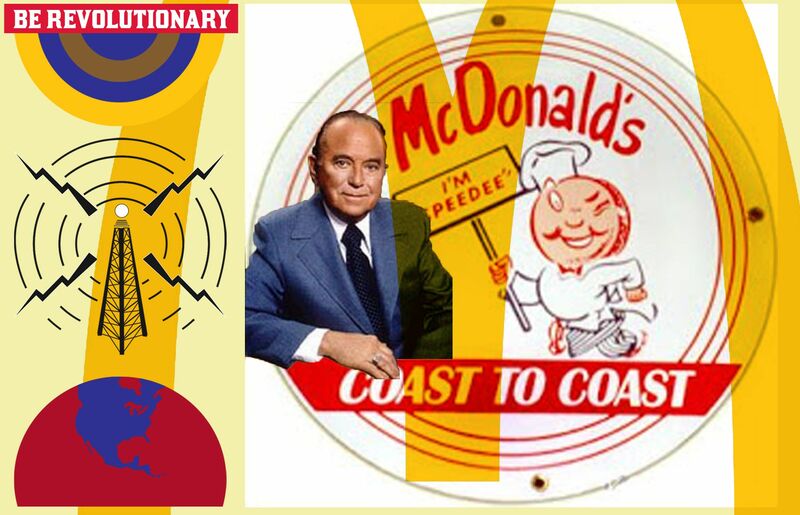 Predictability – Kroc wanted a customer to be able to enter any of his chain’s restaurants confident he could get the same cheeseburger whether in Maine or California. Therefore, all McDonald’s stores had the same cooking equipment, the same preparation method, the same presentation, the same prices. His complaint was that locally owned burger joints were “unsavory” and even “unsafe” for families to dine in and that by standardizing the entire dining experience he was making hamburger eating safe for democracy… Ray Kroc, a family values kind of guy. Control – Kroc obtained this by his “one franchise at a time” policy. Those wishing to join the McDonald’s “family” (one would not be amiss comparing Kroc’s “family” to certain other tightly run families collectively known as the Mafia) had to prove that they could operate their franchises in “the McDonald’s way” before they might be allowed to purchase more franchises. In this way Kroc maintained an enormous measure of control – and made sure his restaurants were/are operated according to the principles noted above. To say that Kroc’s vision for American dining was a success is laughable understatement. His unparalleled success has made McDonald’s the envy of all budding restaurant tycoons and become the model for franchise lines – from direct competitors like Wendy’s (but…but…their hamburgers are square, you protest) to Starbucks (who have done to a good cup of joe what McDonald’s did to a good cheeseburger). But what Kroc perhaps could never have envisioned was how his system of bureaucratization for food production might be adapted as corporatists and capitalists, fascinated by his business success, sought ways to make every field of human endeavor efficient, calculable, predictable, and controlled. The ongoing attempted McDonaldization of fields such as medicine, education, and other humane professions never meant to be standardized ala Mickey D’s – and what that might be doing to us – will be the subject of part 4.